This joyful picture book celebrates middle children and sibling love. When you’re in the middle . . . you’re not the oldest, and you’re not the youngest. You are right in between. There’s someone bigger who helps you and someone smaller who needs you. From the middle, you can see both sides. But being in the middle isn’t always easy―sometimes it’s hard to know what makes you special, or how to follow a path that’s just your own. 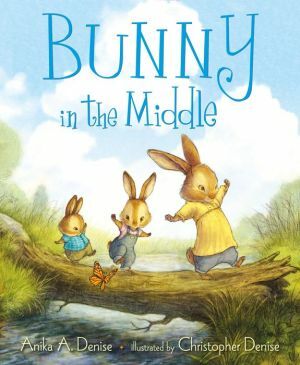 This classic picture book highlights the remarkable empathy of middles and the joys of self-acceptance, glowingly illustrated by New York Times-bestselling artist Christopher Denise.